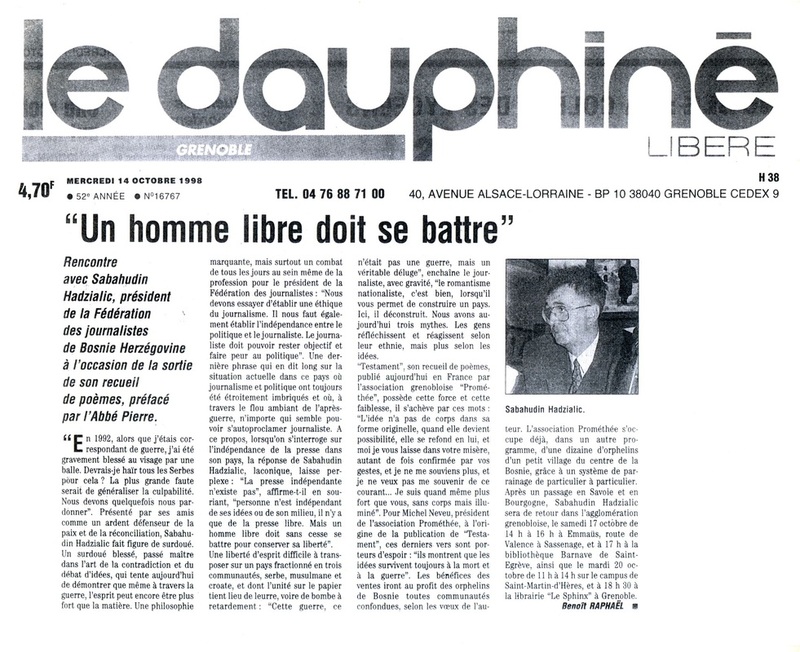 Sabahudin Hadžialić, a distinguished European writer and an outstanding ambassador of freedom of expression has encompassed many challenges and almost every current obstacles faced by the democratic government of Bosnia and Herzegovina and of course his concerns on the recent general elections of Bosnia Herzegovina are pertaining to many other nations in Europe, Africa and the Western Hemisphere. 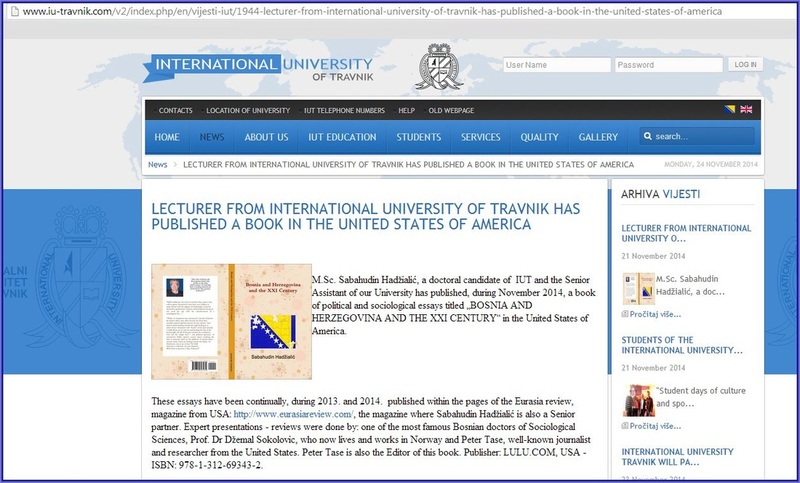 Over the last year I have felt a distinct pleasure while reading every essay published in this volume and the style of writing in all essays of Mr. Sabahudin Hadžialić is original, equipped with a contemporary sense of responsibility and accuracy. 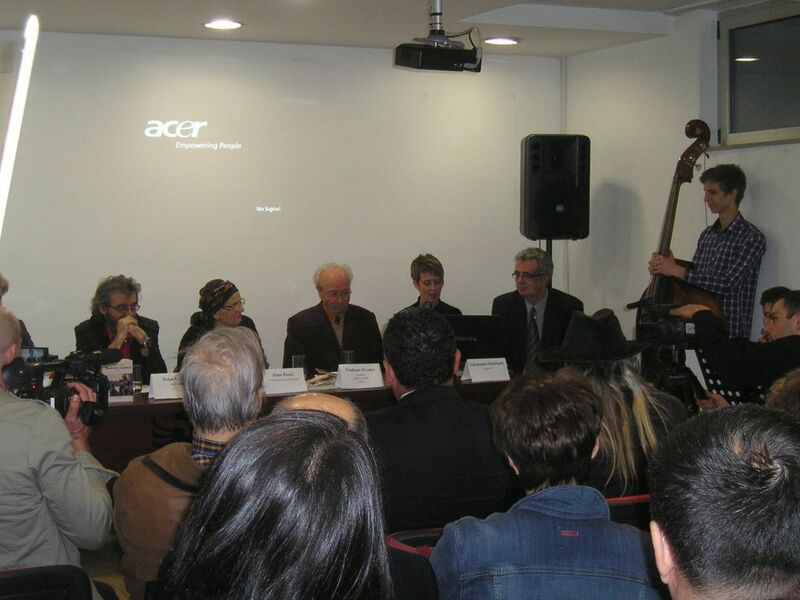 Essay’s like “BOSNIA AND HERZEGOVINA AND XXI CENTURY: MAESTRO AND MARGARITA” and “BOSNIA AND HERZEGOVINA AND XXI CENTURY: CRIME AND OURSELVES” have set the tone towards better understanding the society of Bosnia and Herzegovina and above all, they shed light towards understanding the shaping of corruption, nepotism and anachronism in all of those nations that are going through a democracy in transition, very similar to the heart shaped nation of Bosnia and Herzegovina. 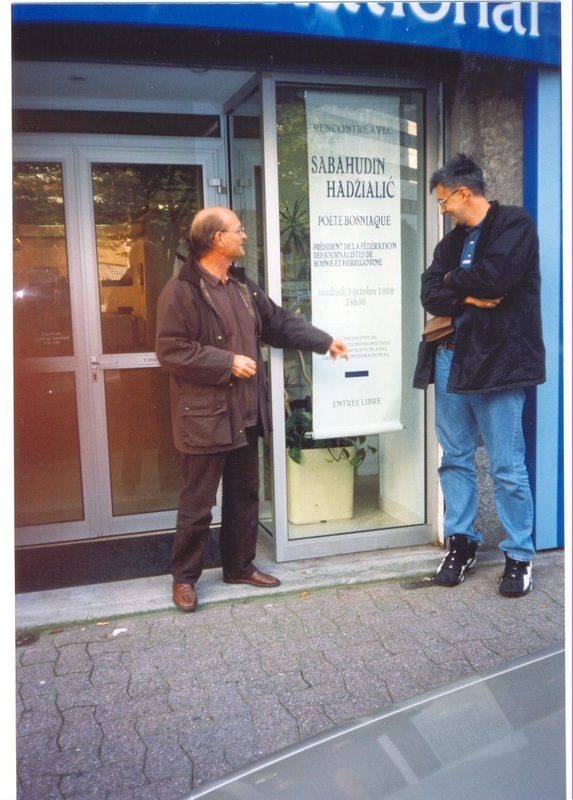 Sabahudin Hadzialic always keeps an open mind in his analyses, shares with the reader a myriad of attractive cultural values in the local society, but at the same time the reveals the challenges that every individual has to go through in order to make a living by doing an honest work. 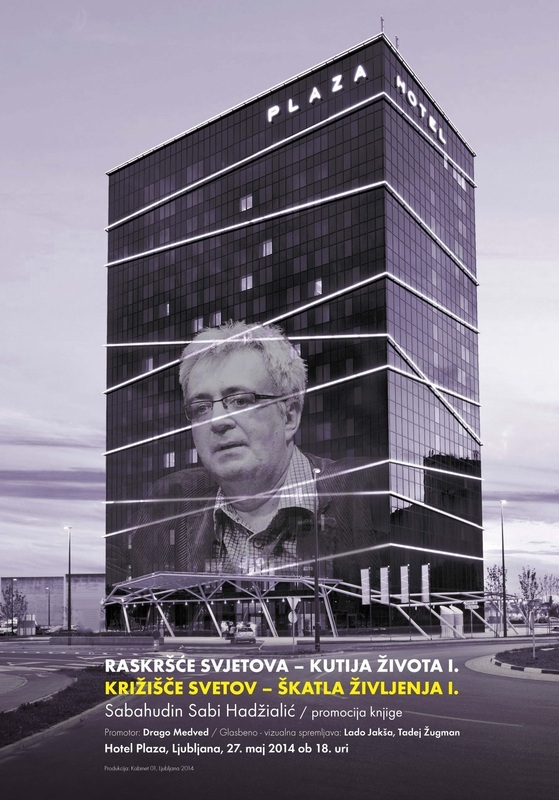 Debates, conversations and monologues characterize this work as a masterpiece of contemporary political narrative and journalism investigation coupled with a genuine literary style that has no match throughout Central and Eastern Europe. 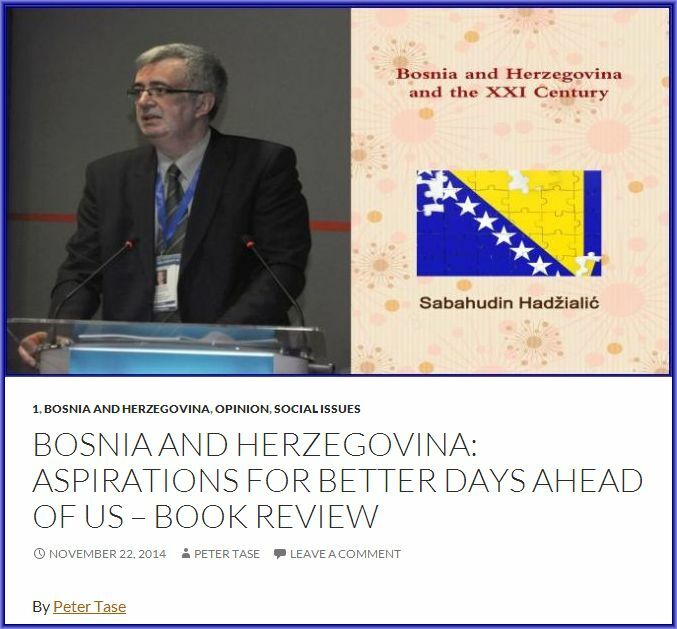 The people of Bosnia and Herzegovina must be proud of such an outstanding writer, whose thoughts are always focused on how to better integrate his country with the rest of the world. 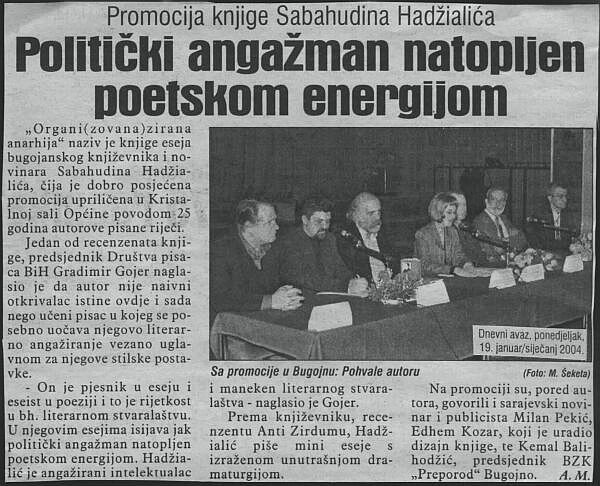 Through his lucidity and sometimes ‘harsh’ language, Hadžialić wants to make his country a place democratic values are always strengthened and not weakened, a society where local language, folklore and culture is preserved but also they are a means of unity rather division; a nation that sets aside religious and political divisions and embrace development and cutting edge education policies as the perfect strategy to join the European Union while considering the provincial borderlines as rudimentary remnants of the past. “Within how many times we have witnessed the mocking of artists who tried through their own vision to awaken the bleak shape forms of the consciousness (not to say - to shake up! )”, these are the words of such a patriotic writer that belongs to the third millennium, Hadzialic is one of a few word smiths who is avidly heard by decision makers worldwide. 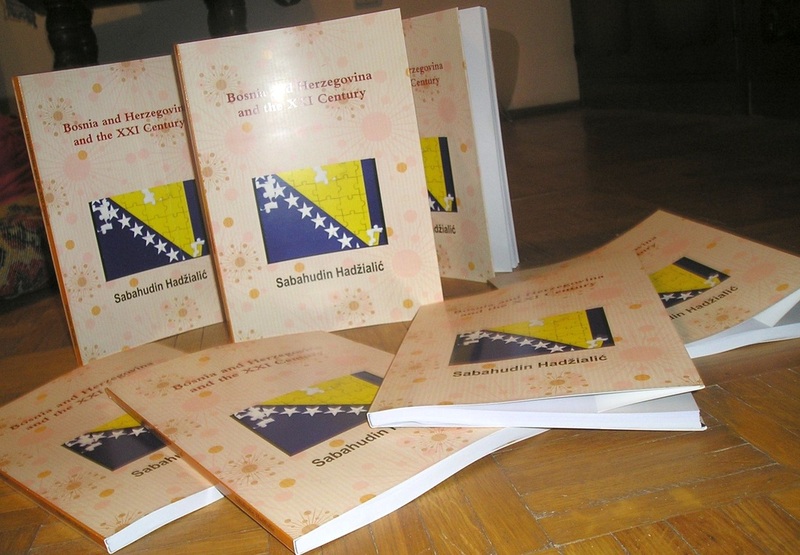 I am confident that this volume of essays has given to the world an extensive image of Bosnia and Herzegovina today and the nation’s aspirations, ambitions that will hopefully be a reality once the new government of Bosnia Herzegovina takes the oath of office. 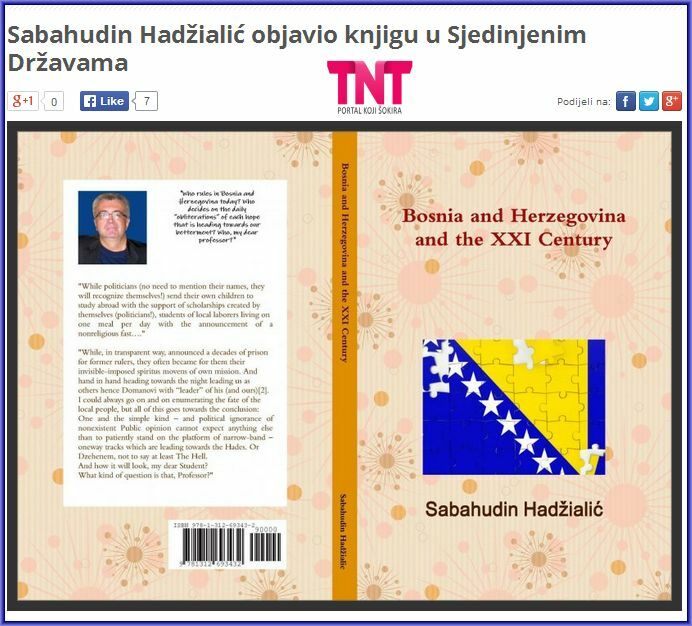 Europeans and citizens of Bosnia and Herzegovina must appreciate this contribution of Sabahudin Hadzialic which brings at the center of attention the current socio-political affairs in the society of Bosnia Herzegovina and this volume further strengthens the strategic relations between Sarajevo and Brussels as well as bilateral ties of Bosnia and Herzegovina and the United States. Once, not so long ago, we were taught that the nation is a historical creation occurred at a certain stage of social development and that at a certain stage will disappear. It was a sort of some kind of Marxist definition of the nation that were our teachers held into as sacred, while today, however, the greatest sacrilege is to try to mention that there is any opinion of that kind. If you're wondering WHY it happened, and the answer you have at accursed Marx who said that people's consciousness does not determine social being, but conversely, that the circumstances in which we live determines our consciousness. 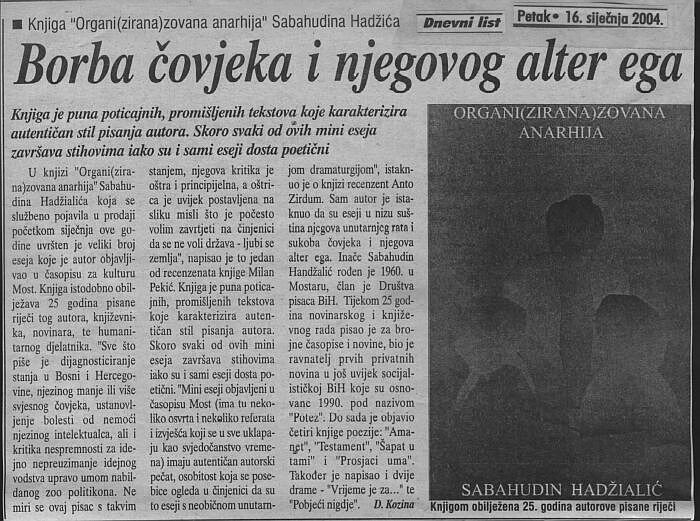 It is quite clear to Sabahudin Hadžialić, but he asks himself in his essays HOW IT HAPPENED – OR HOW IT HAPPENS? Of course, any at all serious man, the one within the intellectual mission, should have to ask himself that. But the question is when and who will ask that publicly? Sabahudin Hadžialić dared to ask himself, i.e. us, at the beginning of the third millennium, or the 21st century. Due to the size and selection of topics those are still reviews, but in a form of the treatment and the style of writing, his reviews take on characteristics of mini essays, and the essays are publications between journalism and science, closest to the art world. Mini-essays published in Eurasia review have genuine author's signature, a personality which is particularly reflected in the fact that these essays with an unusual inner dramaturgy. There are two characters in most of the essays presented: Student and Professor. Author somehow himself, his artistic position, identifies more with the student - because the student is the one who asks questions. A professor, who had taught him one thing and doing nowadays something totally differently, is trying to justify that within his professor’s kind of manner. The professor is actually the author's alter ego, student’s loyal friend or assistant, which should help him to realize that from he moved from one “I” to a different “I” or “Me”. In an article titled" BEGGARS OF THE MIND, WE, BY OURSELVES" his calls his professor "the alter ego of my suicide" and in that way introduces a question of identity, ie, that he, as the same person, is not identical to himself (people forget that they are getting old and becoming even wiser), or how we are all (or the vast majority) overnight took diametrically opposed views. How can the same teacher who taught us one thing, today is teaching our children something else, quite the opposite thing. The author does not hide his nostalgia. 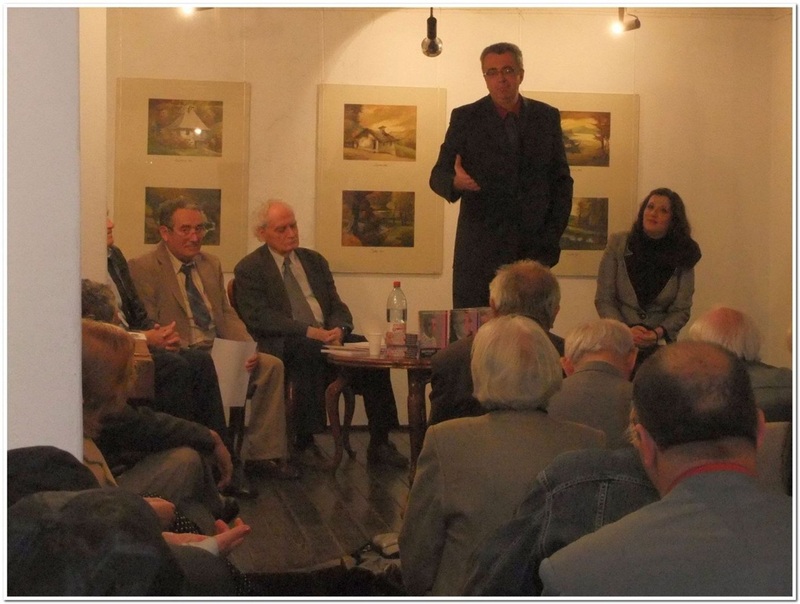 But his nostalgia is not the so-called "Yugoslavia nostalgia" which has been used to disqualify all the critics of society organized anarchy (author’s Bosnia and Herzegovina's patriotism cannot put not in one moment in question at all), but the nostalgia of middle-class social groups that should be, in any developed society, a measure of social maturity and balance. He, in short essay referred to as "I AM GOING INTO THE NIGHT" compares his father (a teacher/professor) when he was forty and himself when he turned forty years old. His father could go on holiday to France, made a house by the sea and always had a rich table of food. He can now go to France only if he is invited him and pay him everything, at the sea he goes into his father's house a food table is "poor rich with basic vitamins." Namely, through the detailed analysis of content of Sabahudin’s essays it may find the idea of such weight that can change the entire contemporary sociological science. He does not develop those ideas, but over them we all should imagine/think about. I would particularly emphasize the following thought from the essay "COLLECTIVENESS OF DIVERSITY or Love thy neighbor." He says: "Today is the scene of the killing of the society and creation of interest groups and not just of any kind, but creation of a group which, closing into its own shell of insanity creates conditions for their own disappearance.” This is a phenomenon with which will soon face our society and our sociology, and God help us, the ethics, and philosophy, theology, economics, political science, and psychology, and so on. Using one aorist as a past continuous time, Hadžialić regurarly, possesses subtle wire coined to convey the same type of thinking, analytical intersections and, as well as the resultant, obtaining the fifth angle of perception of reality. Boyish naive, full of wormwood bitterness over the fate of Bosnia and Herzegovina, confident in his reasonable, even to such a need, turning, towards cultural community in a broader, geopolitical - world - meaning, with the flagrant call to awakening and awareness, Hadžialić by himself is talking about the manipulation of human souls. Is that too naive? It's not! He is aware of the long past ago, or a missed moment of cult-cultural and intellectual awakening, if you will, even a confrontation with pseudo intellectualism. ... Worth a read, and that means to publish in the name - of despair. „Carefree plunging into dreams, dreaming of everyday nightmare of the cruel awakening. In this way it cannot work anymore. Simply put, it cannot … I do not know the answer to the question HOW to overcome this. Maybe you know, dear brave reader? If this the only thing valuable throughout the book, which of course, is not the only valuable thing, the effort invested in its publishing, is justified. 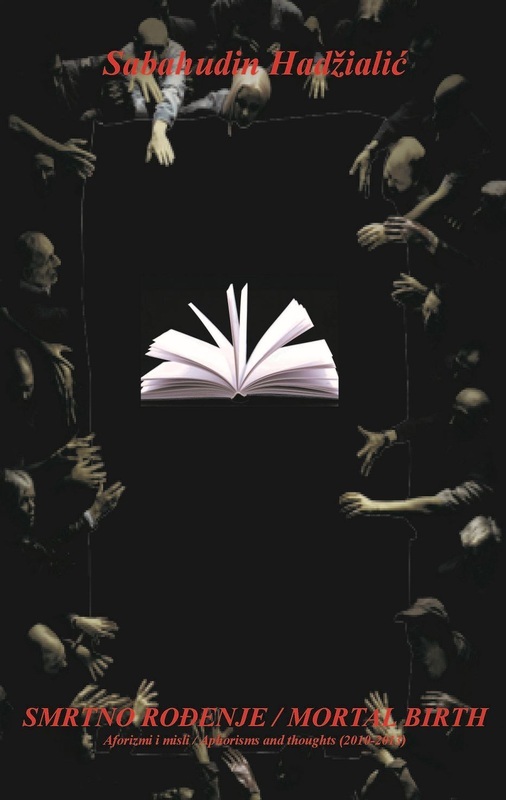 The book is full of incentives, conciliatory, thoughtful texts, with authentic writing style. 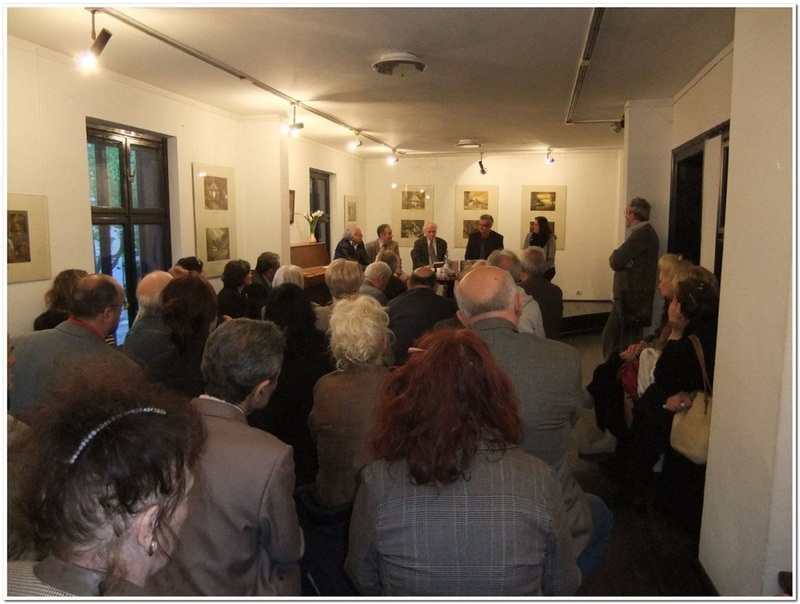 Even when presenting classic stories, reportages, interviews and reviews about the books of other authors, in the form of his reflection in front of us raise the questions directed towards classical understanding that he always asks questions. What about the answers? 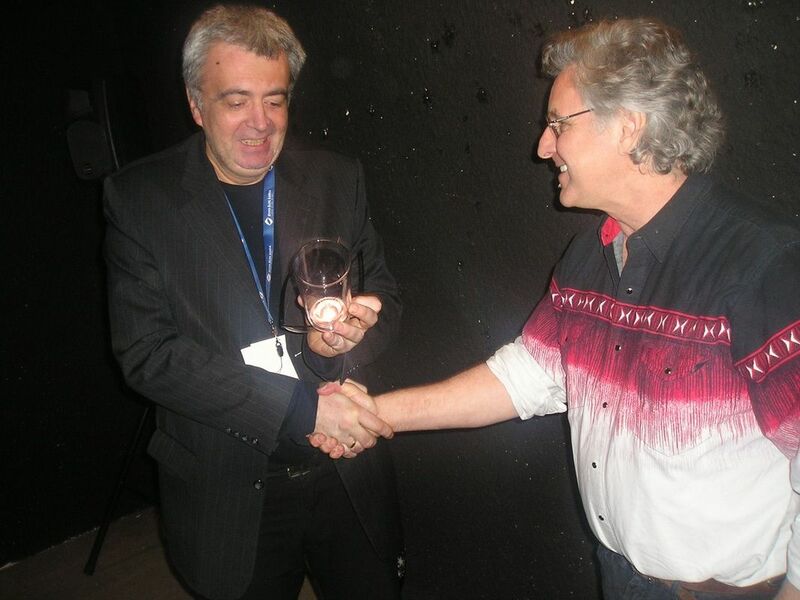 They are also in us, in addition to responses emphasized in his writing. 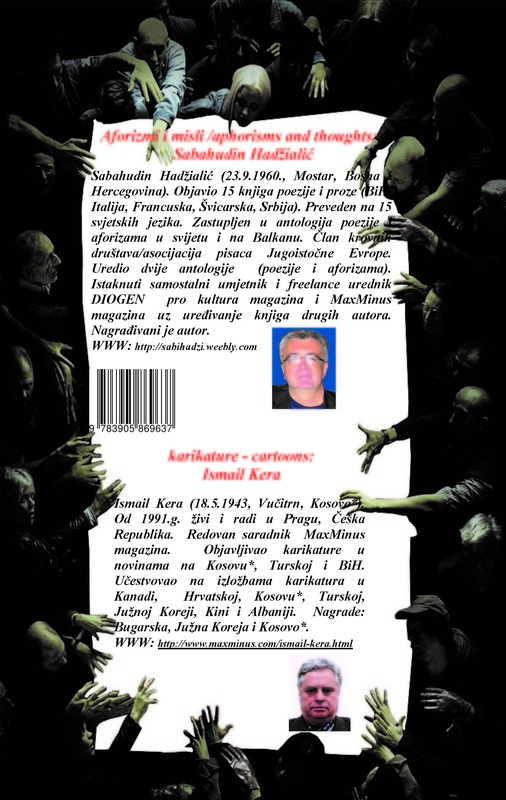 Novogodišnji poklon vama, čitaocima 1.1.2014..
Poklon - besplatno izdanje za download / listanje knjige "SMRTNO ROĐENJE"
Gift - free of charge edition for download / browsing of the book "MORTAL BIRTH"
"SNAGOM PERA", TV BUGOJNO, 2003.g...Gost Sabahudin Hadžialić from Sabahudin Hadzialic on Vimeo. 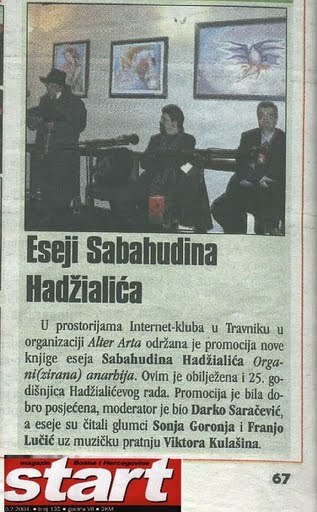 Predstavljanje Književne trilogije - Kuća Đure Jakšića, Skadarlija, Beograd..26.4.2010.g. from DIOGEN pro culture magazine on Vimeo.